Before constructing an insect sculpture, I do a little research and then make drawings (as above), which I can refer to while working. I haven’t yet created a sculpture of this insect, but it’s in the lineup for this summer. 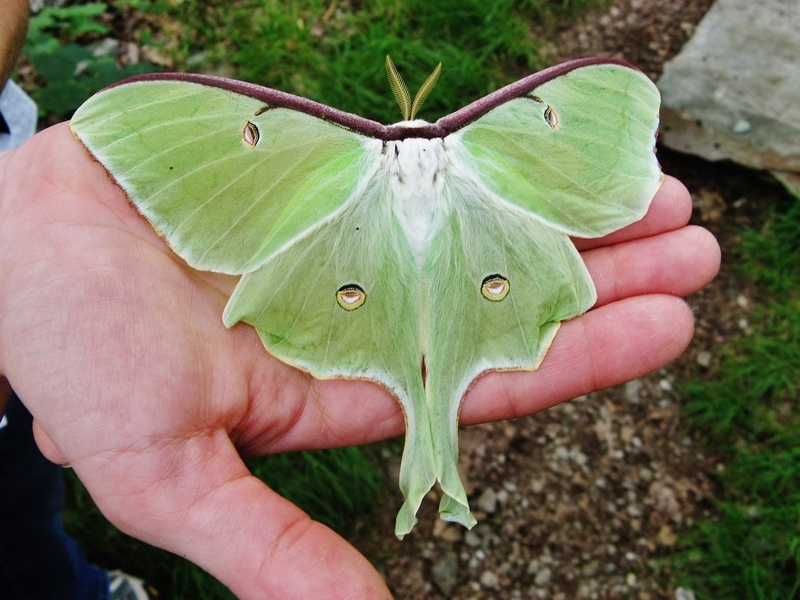 The luna moth (Actias luna) is a Saturniid moth, found almost exclusively in North America, where it enjoys its status as one of that region’s largest moths (its wingspan measures up to 114 mm or 4.5”). Following many weeks in the larval and pupa stages, the adult moth emerges from its cocoon as a beautiful, lime-green, delicate-winged creature. Its long, tapering hindwings have eyespots on them in order to confuse potential predators, such as bats. This moth is common—that is, not endangered—but is rarely seen due to its very brief adult life. As with all Saturniidae, the adults do not have mouths and do not eat! Their sole purpose as an adult is to find a mate, procreate, and then die—all in only one week. But what a week that must be! Previous post Mass Ratios and Insect Respect.